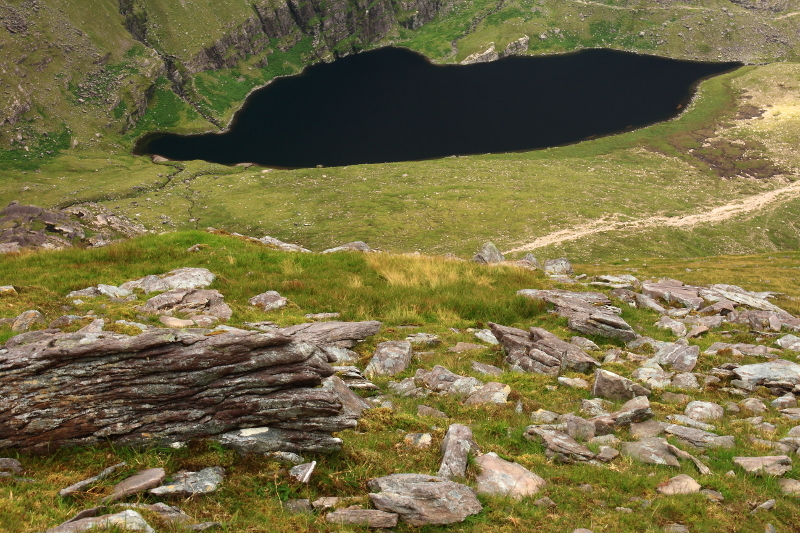 Lough Gouragh with Beenkeeragh and Knockbrinnea behind, on the descent from Cnoc na Toinne. 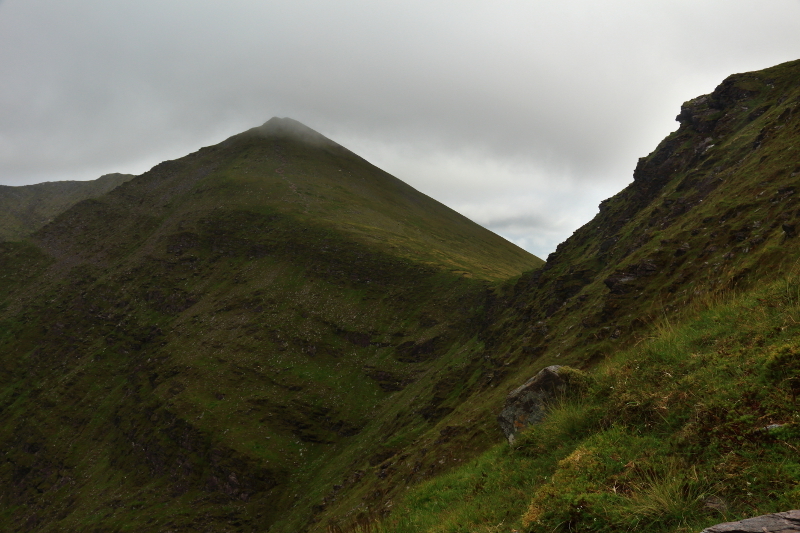 In my last post, I had finished on the summit of Cnoc na Toinne and was about to descend into the Hag’s Glen via the Zig Zag. 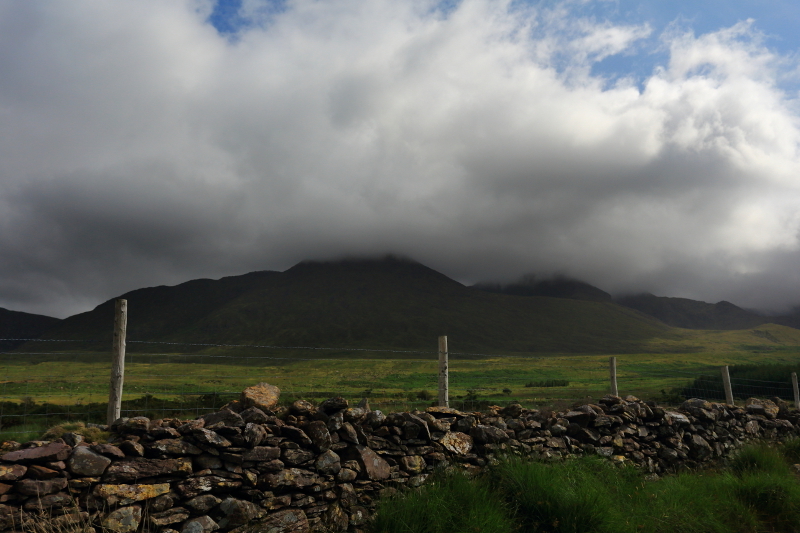 Typically for the Irish weather, I had been in the midst of the clouds for much of the walk, and even when views did appear, it had been overcast, but now, the further I descended, the better the light got. 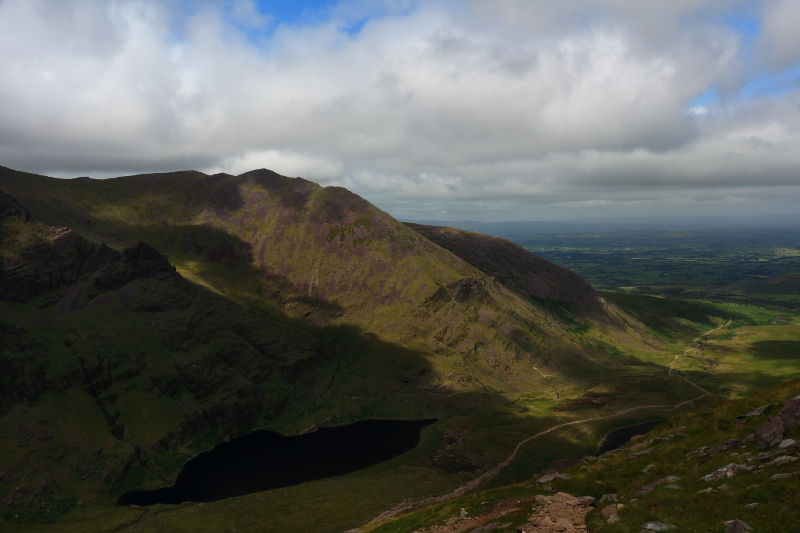 Initially, as I took a few last shots from the top of Cnoc na Toinne before departing, the light remained flat. 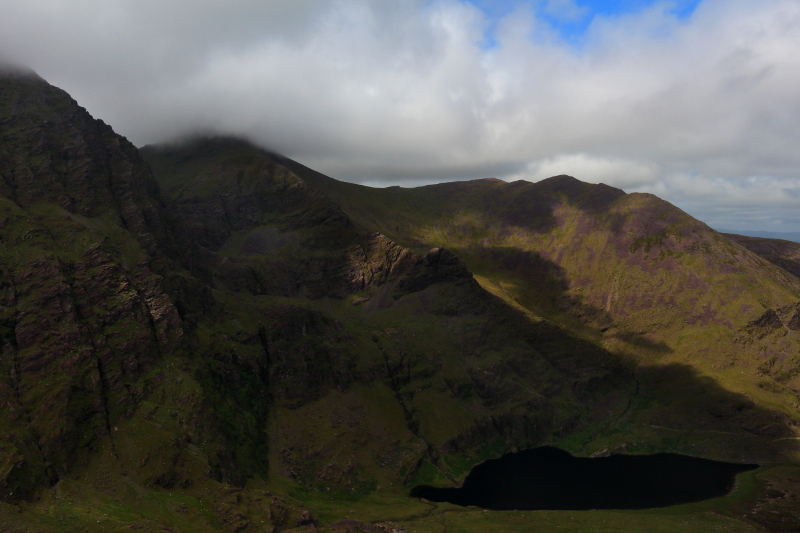 Carrauntoohil, almost cloud free. 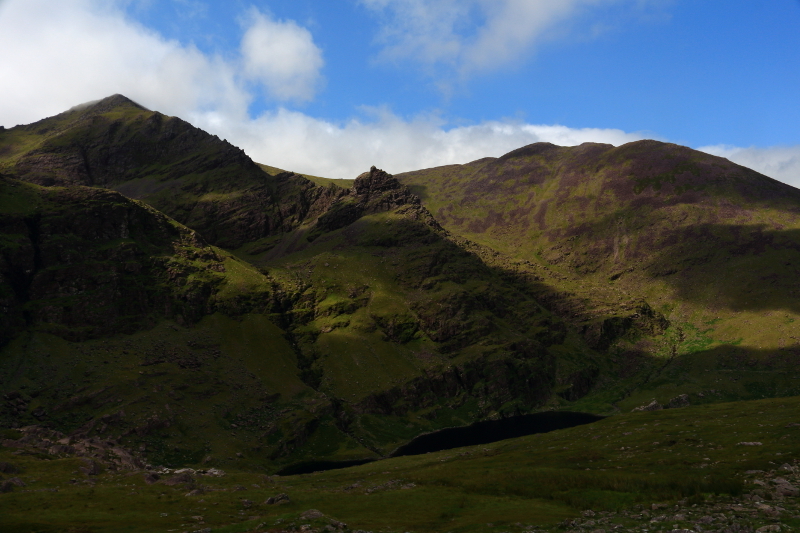 The Devil’s Ladder, which I had used on the ascent, is towards the left of the frame, not looking as fearsome from this angle. 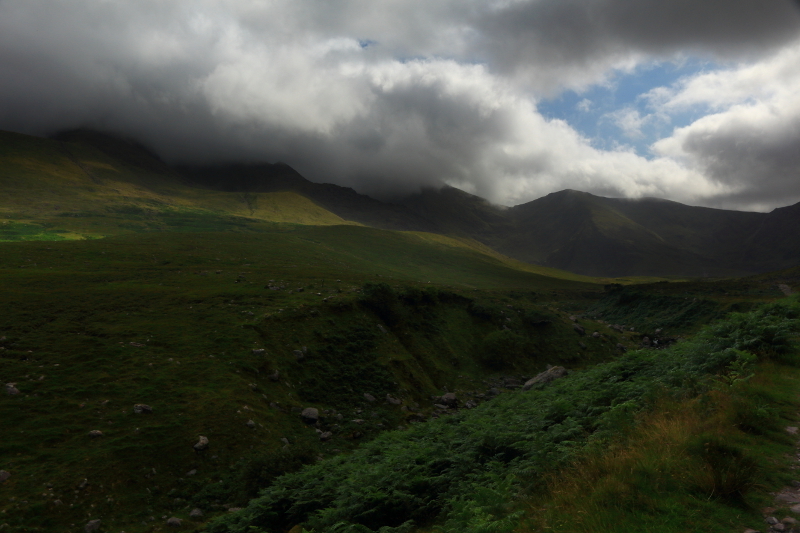 Looking down into the Hag’s Glen. 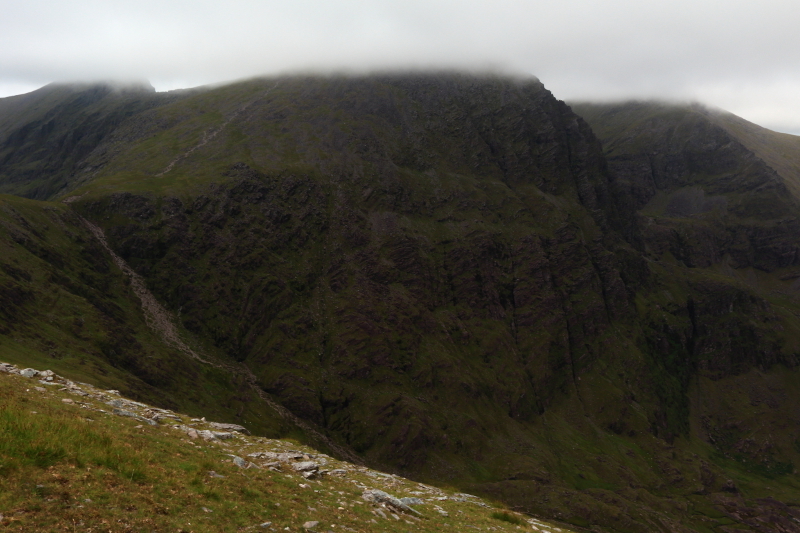 Looking along the flank of Cnoc na Toinne to Cnoc an Chuillin. 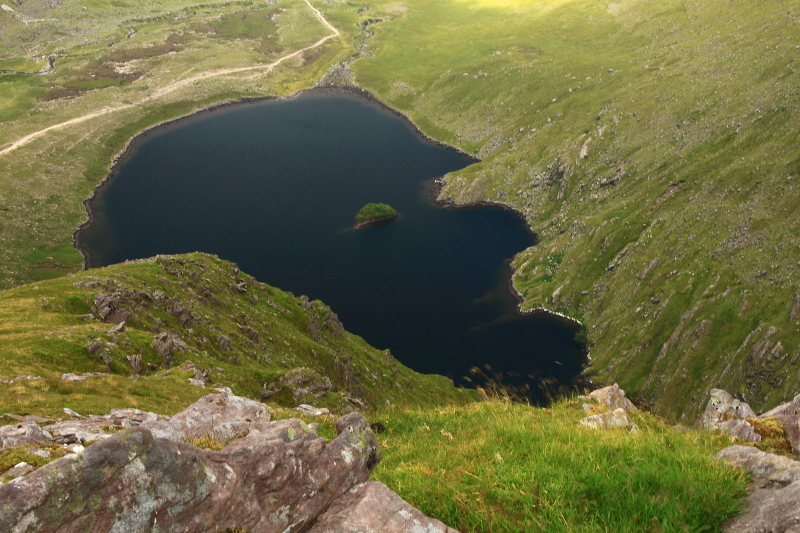 Birds eye view of Lough Callee. 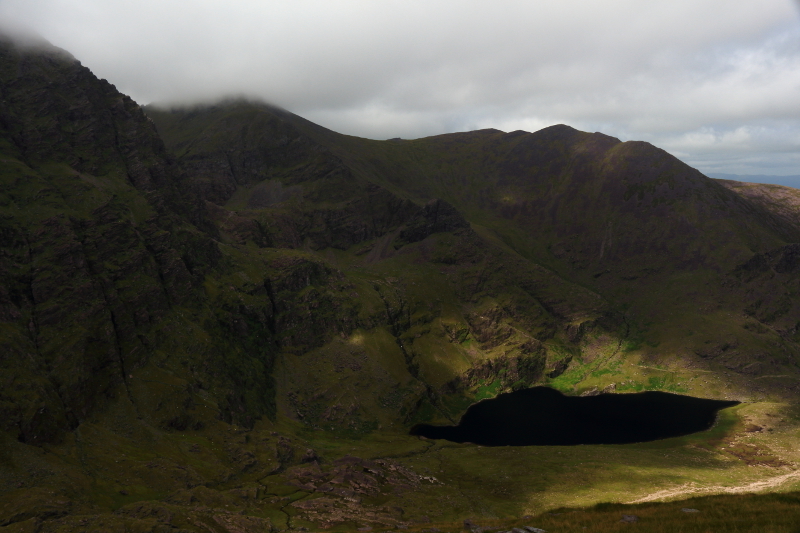 The sun was really starting to come out now as I looked down on the Hag’s Glen and Lough Gouragh. 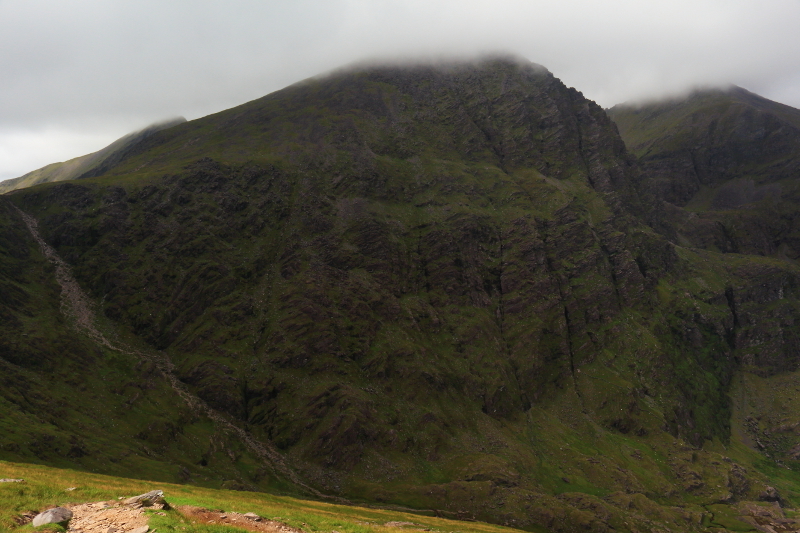 In the bottom left of the frame you can see the stony Zig Zag path twisting down the mountainside. 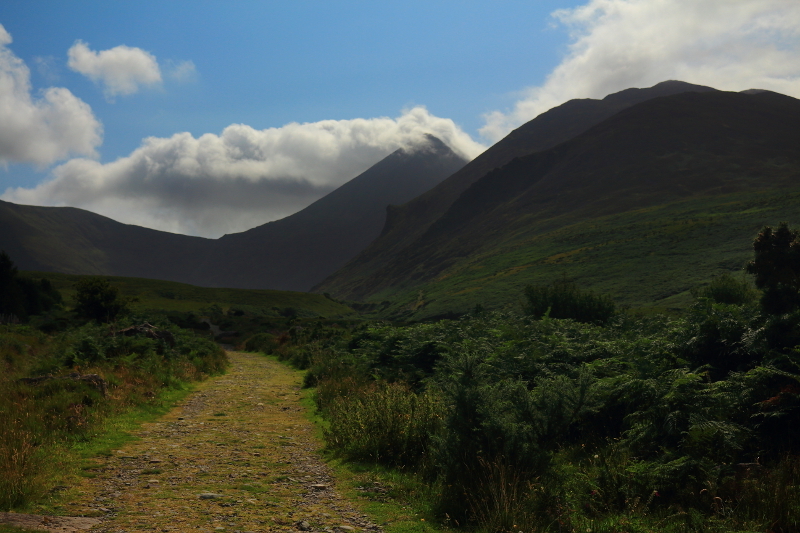 The intention was to follow it down into the Hag’s Glen, then retrace my steps back out to Cronin’s Yard where I had left the car. 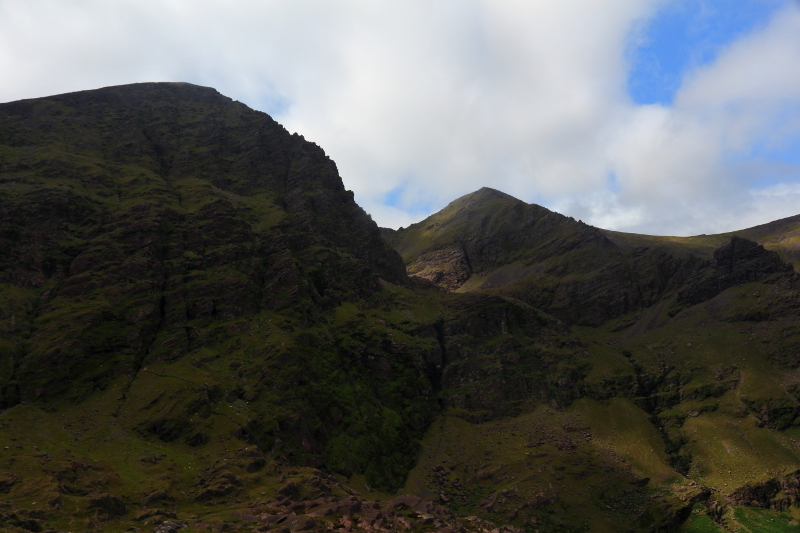 In fact the mountain side was not as steep as it had appeared. Once on it, I forgot about zig-zagging, and took a direct route down. 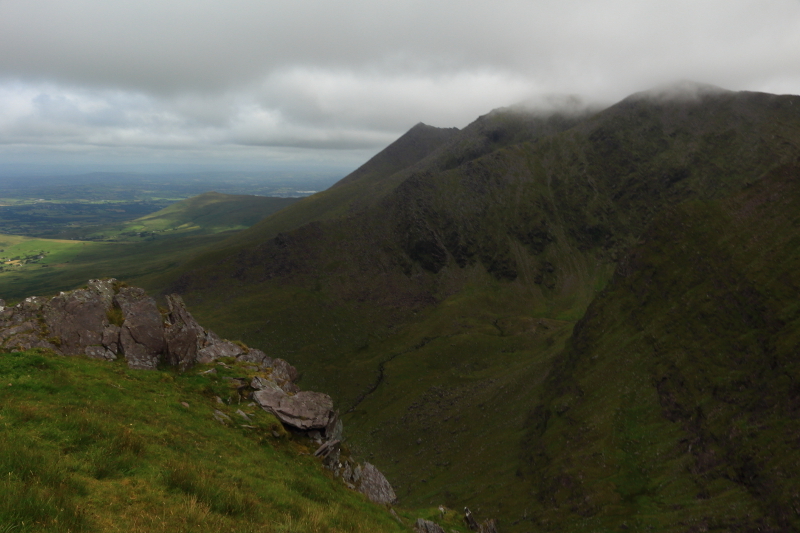 Carrauntoohil, at its most visible so far. 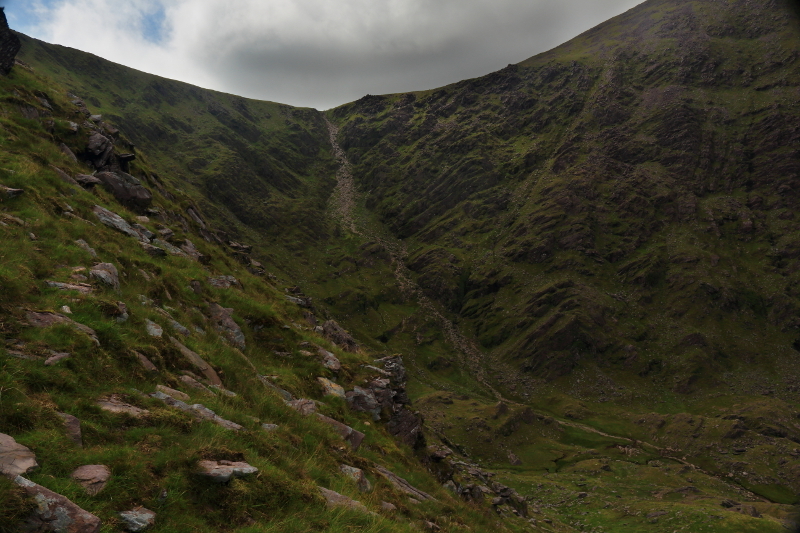 The Devil’s Ladder looked a little steeper from here. Still on the Zig Zag track at this stage. 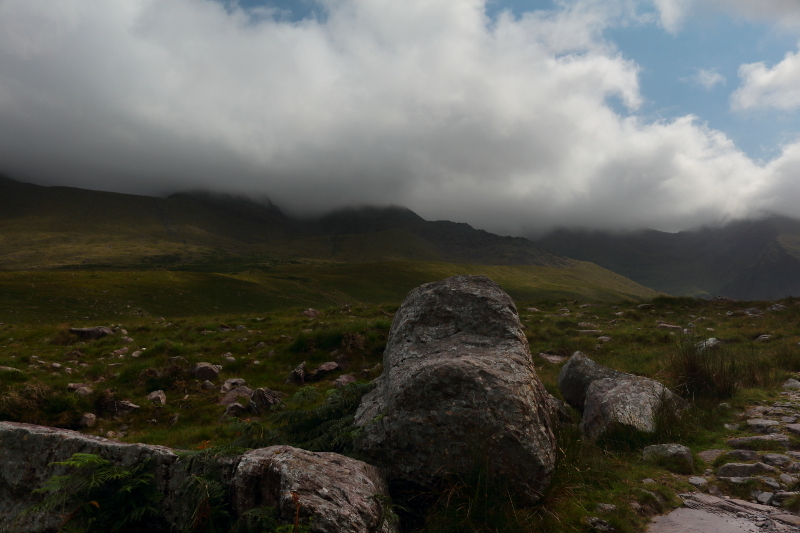 The merest skimming of cloud on Carrauntoohil now. Why couldn’t conditions have been like that when I was on the summit? At least I was getting good views now I suppose. 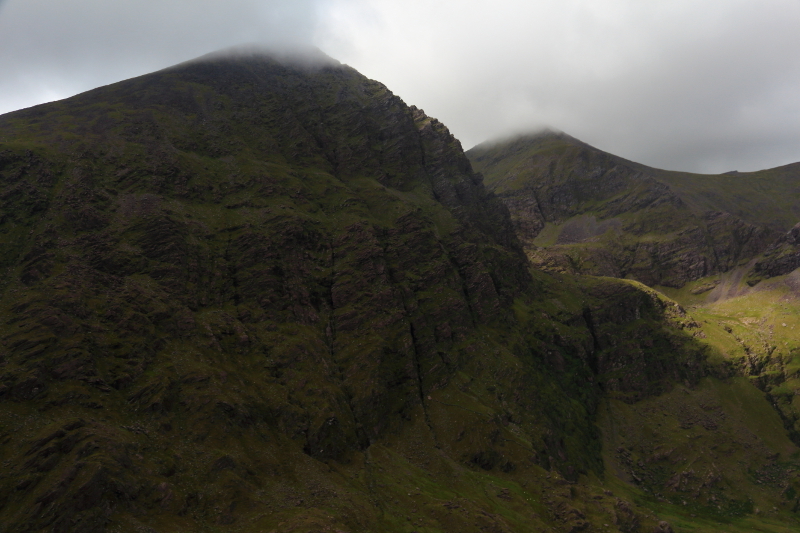 A more head on view of the Devil’s Ladder and the col between Carrauntoohil and Cnoc na Toinne. 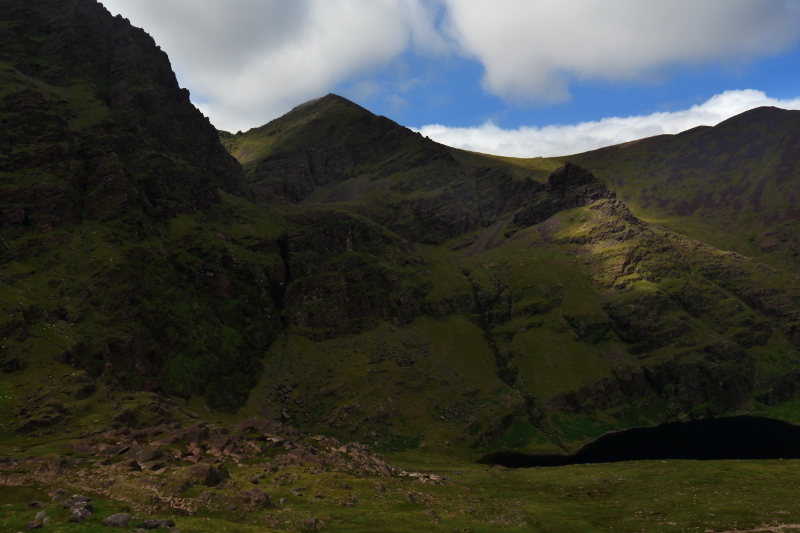 As you can tell from all the photos, I couldn’t get enough of this view of the rugged slopes of Beenkeeragh and Carrauntoohil. 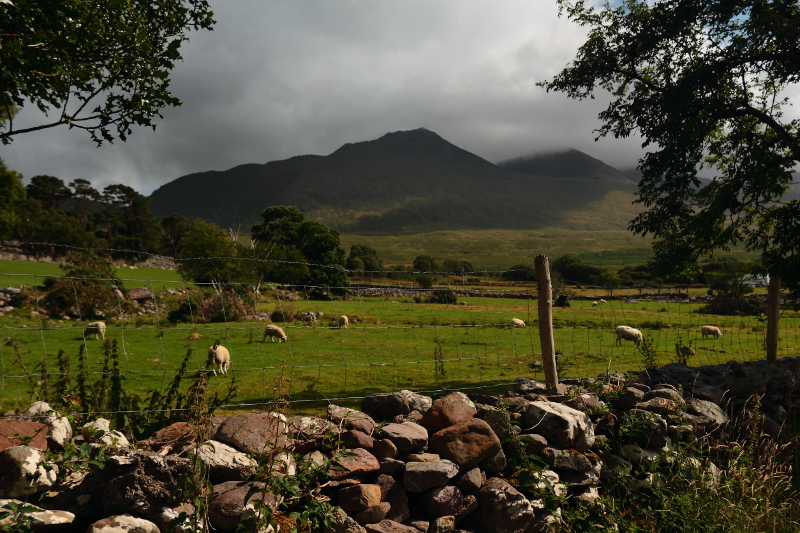 All too soon, I was at the foot of Cnoc na Toinne, and making my way along the trail which would take me back to the car park in Cronin’s Yard. 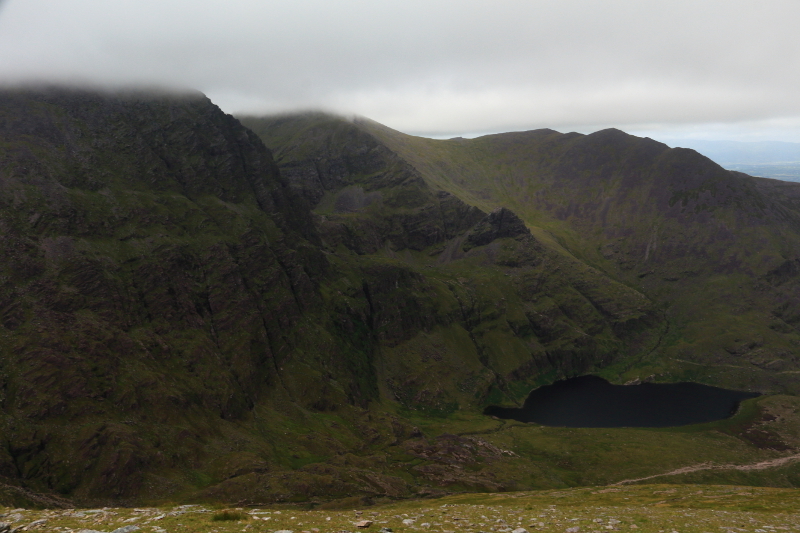 At this point, I met a Cork man who had walked these, and many other Irish mountains, extensively. He was a mine of information, and was also familiar with mountains in my own part of the country such as Sawel and Dart. I spent the walk out in his company in fascinating conversation. 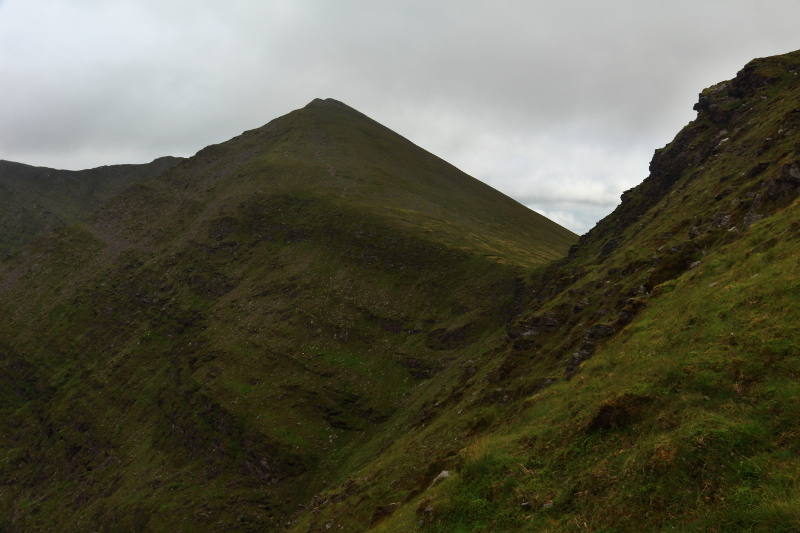 I normally like the solitude of hill walking, but I get plenty of that in most places. In the Bluestacks for example, I rarely see another walker. Here, especially later in the day, it got quite busy, and it was pleasant to have company. 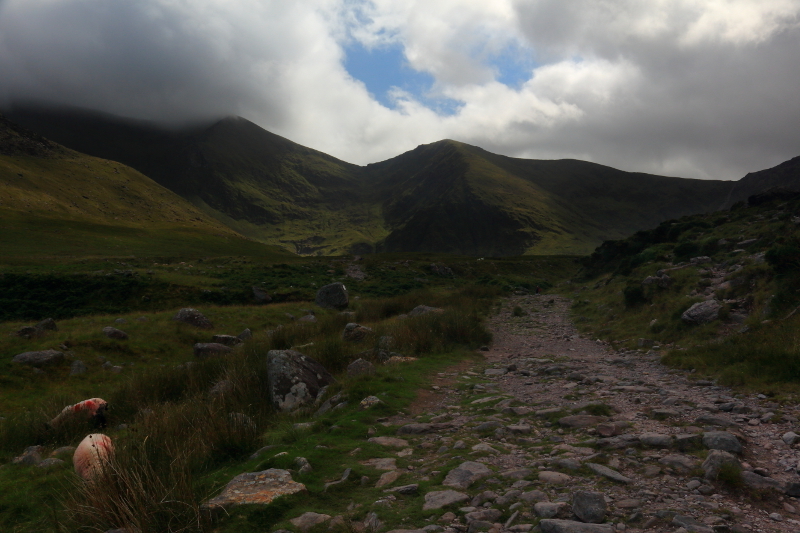 I imagine, that if every walk was like this however, I would be yearning for solitude again soon enough. 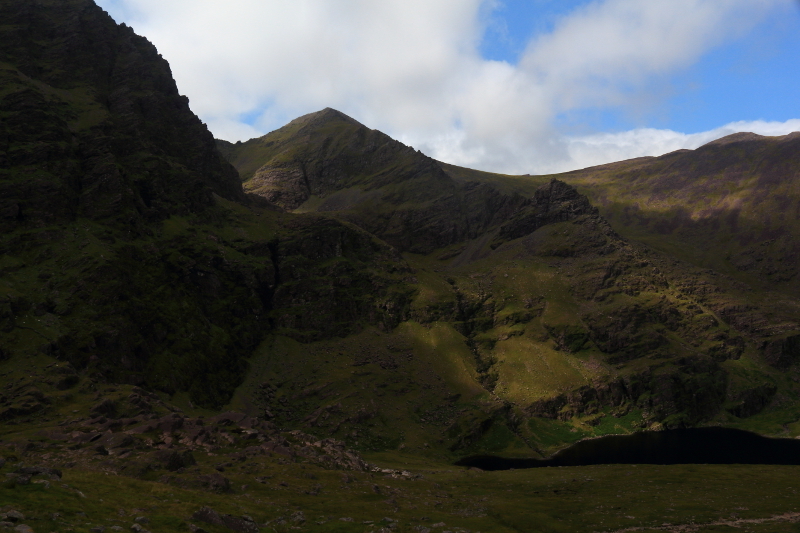 The rest of the photos were taken as I retraced my steps from earlier in the day, in the opposite direction this time. Back on the valley floor, following the trail out to Cronin’s Yard. I was now almost back at my starting point. 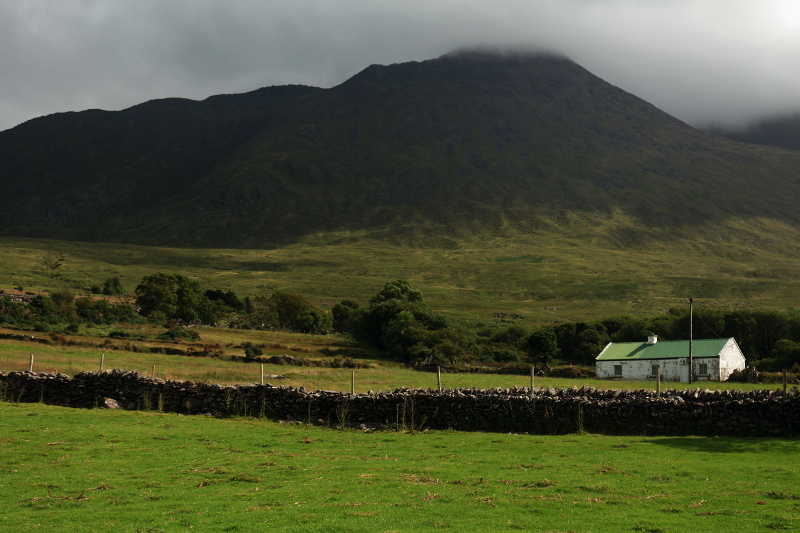 In the first post covering this walk, my first photo was an image of a cottage, with the mountains as a backdrop, in the morning gloom. I promised to return at the end with another image from the same spot, in different weather conditions, later the same day. 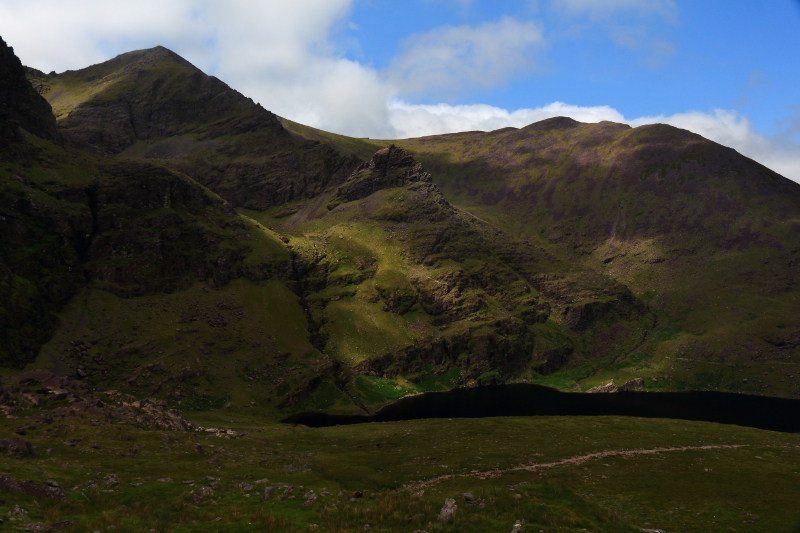 I’ll finish with that shot, a contrast to the one earlier in that morning, after a brilliant day in the MacGillycuddy’s Reeks. I hope it won’t be too long before I get a chance to further explore these mountains. 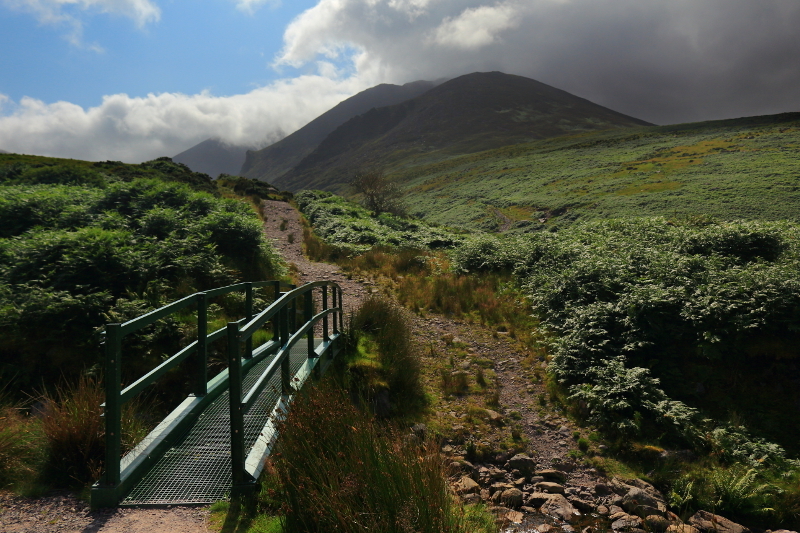 The earlier part of this walk, taking in the mountains of Carrauntoohil, the highest in Ireland, and Cnoc na Toinne, can be found in the posts below. 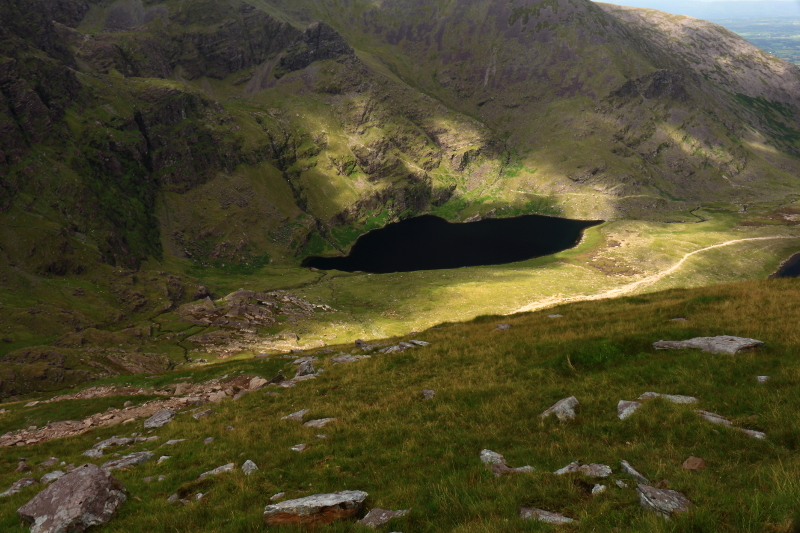 Posted in Landscape, Nature, PhotographyTagged Carrauntoohil, Cnoc na Toinne, hill walking, Ireland, Kerry, Lough Callee, Lough Gouragh, MacGillycuddy's ReeksBookmark the permalink. Spectacular shots, Aidy. I notice that in many places there seems to be a well marked path. Is that the case throughout? Or is there any off-path trekking you need to do? 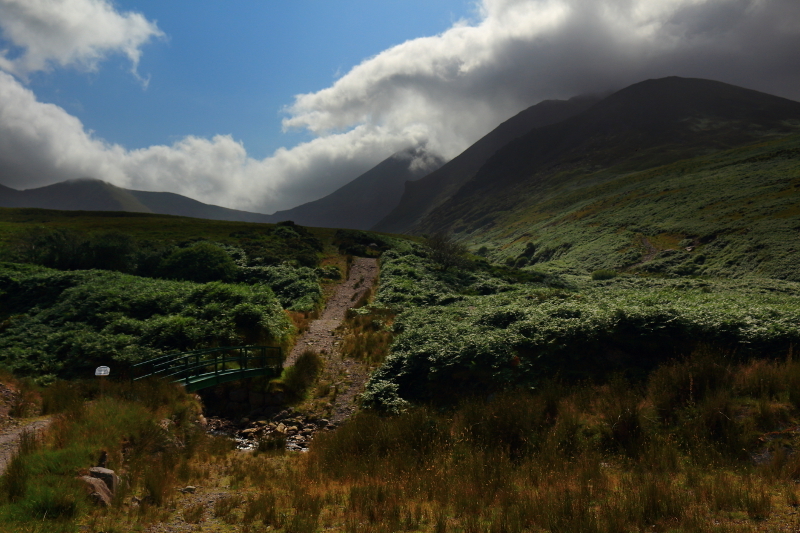 (See – I’m actually getting a bit serious about doing some of these trails!). Thanks John. 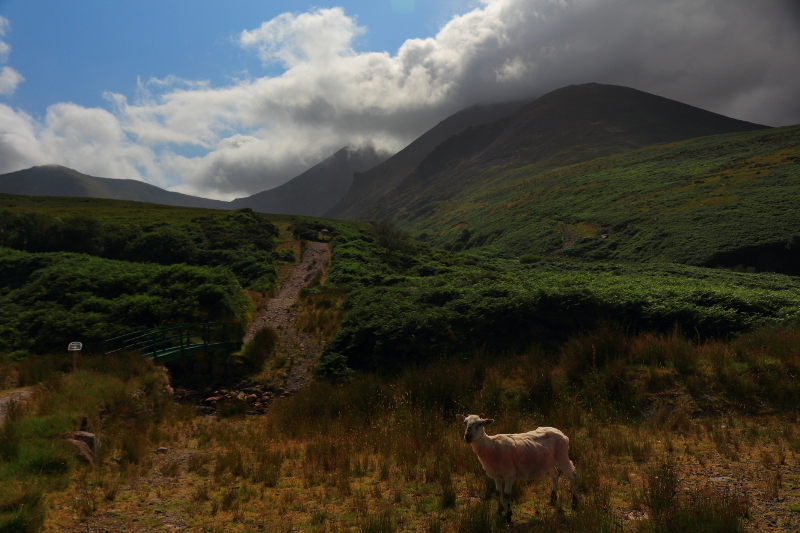 I’ve found that in those mountains in the MacGillycuddy’s Reeks, and other well frequented mountains, like the Mournes, there are well worn, obvious paths. 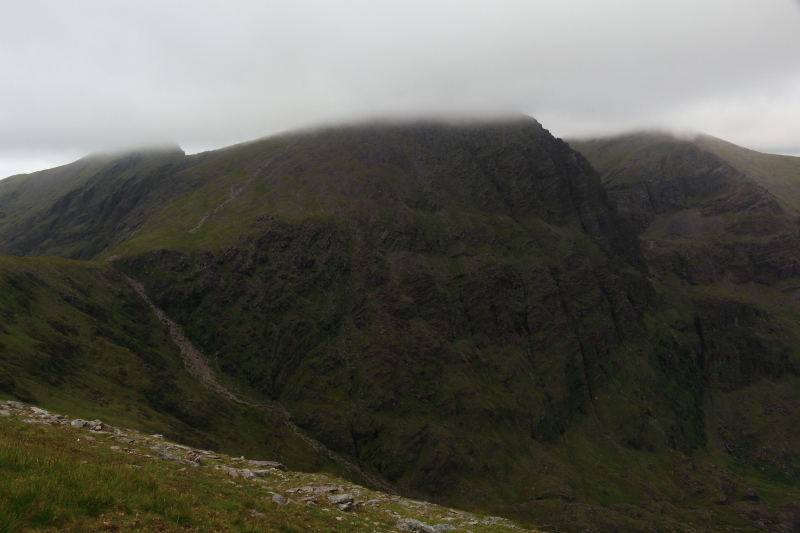 In other ranges, like teh Bluestacks, you’re pretty much on your own with no trails to follow. I started with a few easier mountains where I could watch youtube videos showing the route, or one that had fence that could be followed all the way the the summit. 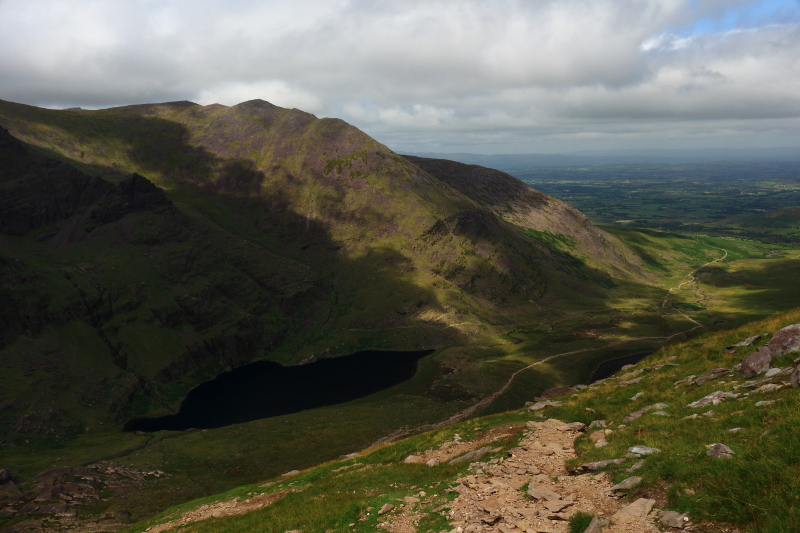 If you have any mountains in mind nearby, I’d recommend checking the comments on mountainviews.ie too. There are some very good comments on there about routes etc. 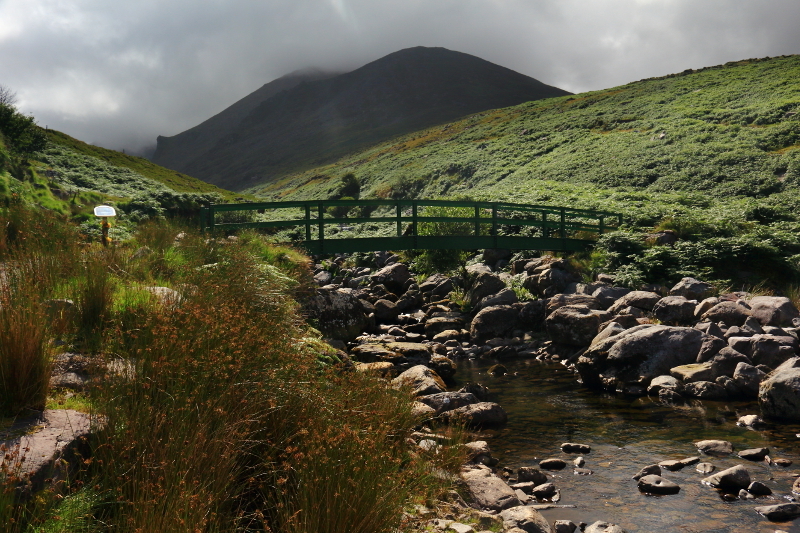 Some of the mountains in Wicklow are sure to be well walked too, and might have clear tracks, or even way-marked trails with signs etc. You should definitely take the plunge! I just started with easy ones with no navigation required, and slowly built up my confidence. Just think of the views John!